There are few things that impact our community more than supporting our locally owned businesses. Shopping at our local Windsor Heights businesses retail or service allows you to support economic development issues right here at home. Dollars that say in a community tend to be multiplied over and over. From wages, to streets and bridges doing business locally has a major impact. 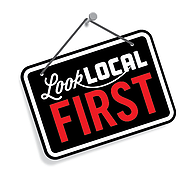 Here is an example Look Local First is a campaign of the Greater Des Moines Partnership. They have calculated that by simply shifting 5% of your shopping dollars to locally owned businesses will generate nearly one-billion dollars in local economic development dollars. That is impressive. And, those dollars go toward making the quality of life here better for us all. So, celebrate a little. Make it a point to visit our Chamber Member Local Businesses. From legal services to retail to health services to restaurants it all matters. This year Look Local First all week long!